Born out of a desire to create elevated goods that are timeless and elegant while remaining functional, husband and wife team Justin Link and Michelle Chong-Link founded the New York-based luxury label, ELMCY. Combining the finest Italian leather and centuries old artisan technique, each piece is expertly crafted by hand. 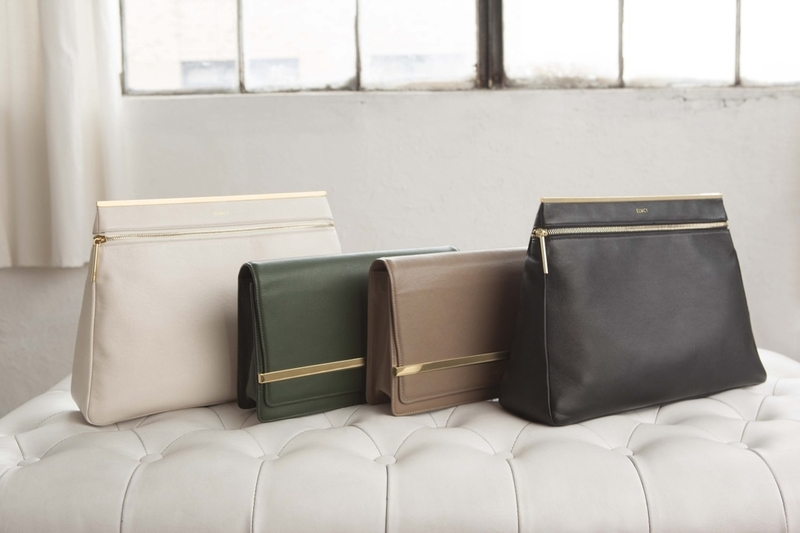 The collection of New York made handbags celebrate excellence and quality in the highest forms. What’s the story behind the ELMCY brand? ELMCY is the labor of love and affirmation that my husband and I started back in 2013, and the idea for ELMCY was actually hatched on our first date. On that night by Prospect Park in Brooklyn, we shared our dreams, goals and our knack for well-made goods. Justin had a desire to work in the world of luxury and I had the desire to create. Throughout this journey, we fell in love, got married, and worked side-by-side as life partners and business partners to build and nurture the ELMCY label. ELMCY is a wordplay on my initials, MC (Michelle Chong). What inspired you to design handbags specifically? A well-made handbag is one of the most treasured possessions in a woman’s wardrobe, and a well-made one can be passed down from generation to generation, and that was what I wanted to start with, a really well-made handbag that can be worn everyday and still last a lifetime. What is your creative process like, from initial conception to final product? I create out of a place of intuitive revelation. The ideas just come to me and I sketch it down. Ever since moving to New York (I grew up in Singapore), I’ve learnt to live a minimal lifestyle of less is more, a lifestyle that translates into my design work. I strive to create time agnostic, classic pieces that women can carry for not just one or two seasons but for years to come. First comes the sketch, then comes the colors (with some color trend research), then I get started with my samples. For our first collection, we took 1.5 years to refine our debut collection: picking the right leather, picking the finest lining, creating custom gold-plated hardware that fits the aesthetic of the bag. Once the sample is done, I carry it around, use it functionally, put heavy duty stuff in it (since a busy New York working woman never carries around an empty bag!) and get feedback from the ladies (and men) in my life on how the bag looks and feels. Experiencing and living the whole process from design to production is the most exciting part of ELMCY for me, since I have the desire to create. Describe the mission behind your local, small batch production and your efforts towards sustainability: Since Justin and I met in New York, we felt it was central to our brand to be based here. 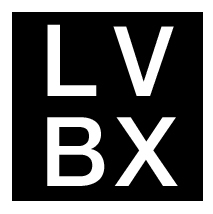 We live and breathe New York and saw an opportunity to support the local economy and manufacturing industry. It also made sense for us to produce locally because I can be extremely hands on with the whole production process while ensuring our highest standards for quality are met. I came from a background of organizing fashion tradeshows where I saw young designers not survive their first couple of years of business, because they produced inventory they couldn’t sell. We wanted to be wary of that, so we implemented the pre-order model on our online store to test the market, in order to only supply what is being demanded by customers and buyers. Who is the woman you are designing for? I love this question! This is what ELMCY is about: the woman that I’m designing for. She is at the center of this whole business, she is the constant muse that I am designing for. She is a woman that is affirmed, independent, knows what she wants in life, and knows the value of investing in a quality piece rather than blindly following trends. I want my customer to feel beautiful, strong and radiate confidence whenever she carries an ELMCY bag. I particularly feel that way whenever I carry my Berkeley! What are your hopes for the company in the coming year? 2016 will be a year of scaling for ELMCY. We have a lot of initiatives right now that will help us better serve, understand, and reach the ELMCY woman. Building a business has its challenges, but we are confident and hopeful that ELMCY will emerge over the next 12-18 months as a label women want to be associated with. 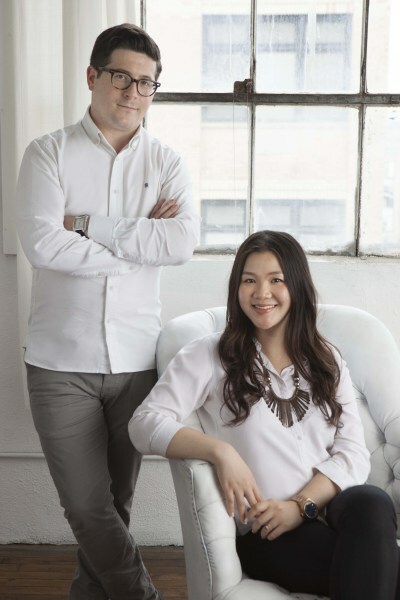 ELMCY founders, Justin Link and Michelle Chong-Link. To learn more, visit ELMCY. All images courtesy of ELMCY. Iben Sandahl, author of The Danish Way of Parenting, on embracing the “hygge” moments.